Josh Ho-Sang wasn’t on time on the first day of the New York Islanders training camp his rookie year, a transgression that prompted the National Hockey League team to immediately ship the talented forward back to junior hockey. New York Islanders forward Josh Ho-Sang gets his first goal in his fourth NHL game. Ho-Sang was right on time Tuesday night – scoring his first NHL goal on a wicked one-time slap shot that helped the Islanders beat the Edmonton Oilers 4-1 in Edmonton. Ho-Sang’s goal came in his fourth NHL game at 17:23 minutes of the first period on a power play shot that blew past Oilers goalie Cam Talbot. Islanders forward Andrew Ladd retrieved the puck as a keepsake for Ho-Sang, the son of a black Jamaican father of Chinese descent and a Jewish Chilean mother with Russian and Swedish bloodlines. The Islanders chose Ho-Sang in the first round of the 2014 NHL Draft with the 28th overall pick. The move was viewed as controversial at the time – the Islanders made a trade to get the pick – because Ho-Sang was considered to be too outspoken, too flashy, and too immature by several NHL general managers and scouts. There’s no denying his talent.Still, several hockey purists are annoyed that Ho-Sang has been wearing Number 66 – digits that Pittsburgh Penguins forward Mario Lemieux wore during his Hockey Hall of Fame career – since being called up by the Bridgeport Sound Tigers, the Islanders’ American Hockey League farm team. But Ho-Sang has worn the number throughout his career in honor of Lemieux. He even wore it when he was a linemate of Oilers’ superstar Connor McDavid when they played for the Toronto Malboros youth hockey program. McDavid told the paper that his former youth hockey teammate is sometimes misunderstood. “He says what’s on his mind and you have to respect that,” McDavid said. It’s one thing to be a hockey coach and tell a young under-the-radar player on what he or she needs to do to grab the attention of NCAA and major junior hockey programs, it’s another thing bestowing that advice when the player in question is your kid. Traverse City Hounds forward Kyle Bollers. 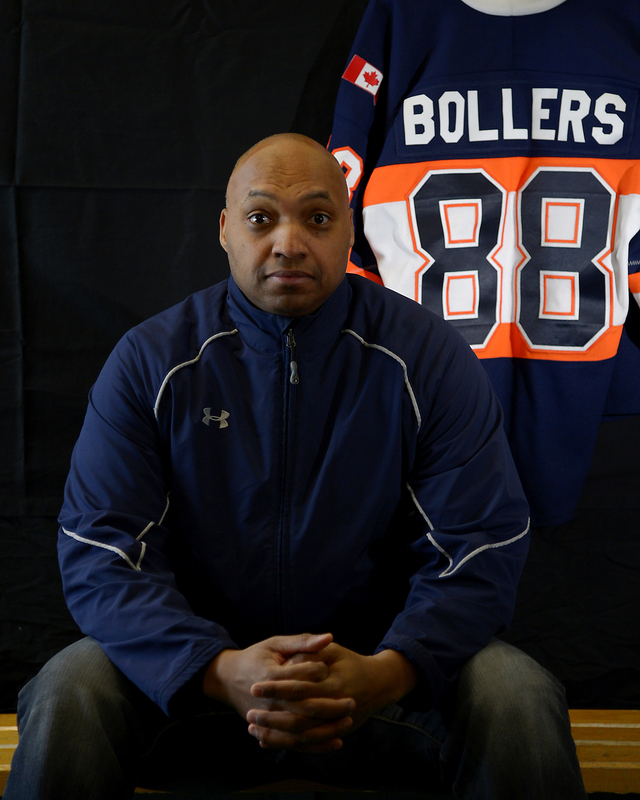 After his 16-year-old son, Kyle Bollers, was bypassed by Canadian major teams, the elder Bollers, who’s the director of player development for the Skillz Black Aces and has coached for Canadian hockey teams at the youth and junior levels, convened a family meeting to go over the options Kyle had to chase professional hockey-playing dream. With skating for an Ontario Hockey League major junior team close to his suburban Toronto home out, Kyle’s family concluded the he’d have to leave home and play in a lower but nonetheless important league to catch the eyes of collegiate and major junior scouts. So he packed his bags, grabbed his passport, and made the 436-mile, seven-hour trek from Toronto to Traverse City, Mich., to play for the Traverse City Hounds of the U.S. Premier Hockey League. The youngest and only foreign-born player on the team, Kyle finished fourth on the Hounds in scoring with 29 goals and 27 assists in 46 regular season games. He helped propel the Hounds to second place in the USPHL’s Eastern Conference Division with a 37-9 record with two overtime losses. The Hounds are currently battling the Detroit Fighting Irish in the second round of the playoffs. The USPHL was founded in 2012 and it consists of 110 teams from 55 hockey organizations across 19 states. The teams skate in the Premier, Elite, Midwest, USP3, Under-18, Under-16 and Under-16 Futures divisions. More than 350 USPHL players have gone on to play college or professional hockey. Center Jack Eichel went from the USPHL’s Boston Junior Bruins to a standout career at Boston University to being the Buffalo Sabres’ 2015 first-round draft pick and a top contender this season for the Calder Trophy, awarded to the NHL’s best rookie. Center Charlie Coyle advanced from Massachusetts’ South Shore Kings to BU to being the San Jose Sharks’ 2010 first-round draft pick. Coyle is the Minnesota Wild’s leading scorer so far this season. Kyle Bollers, left, hopes that success in the USPHL leads to playing NCAA or major junior hockey in the near-future. Kyle is hoping the USPHL will put him on the same glide path. Lester Griffin, the Hounds’majority owner and general manager, thinks it’s only a matter of time . 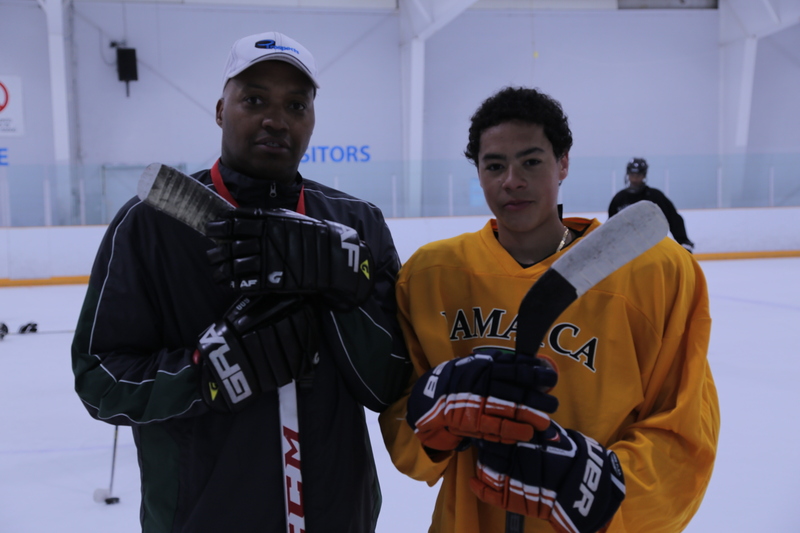 This summer, Kyle will likely spend some quality time on-ice with his dad, who’s a coach for the Jamaica Ice Hockey Federation, an organization that’s trying to develop a team that would eventually represent the Caribbean island nation in the Winter Olympics. Kyle, whose family is of West Indian heritage, has practiced and played in an exhibition game for Team Jamaica. He said he’s looking forward to donning the team’s snazzy yellow, black, and green jersey and skate in more exhibition matches this summer. Jamaica begins its skate toward a national ice hockey team; Winter Olympics soon come? At the end of the two days, the head coach who had no idea about exactly what he’d gotten himself into sounded pumped. The Jamaica Olympic Ice Hockey Federation took its first on-ice strides toward building an Olympics-worthy national team with a two-day tryout at a suburban Toronto rink over the weekend under the watchful eyes of Townshend, a former Boston Bruins and Ottawa Senators forward who was the National Hockey League’s first Jamaican-born player, and Cyril Bollers, president and coach of Skillz Hockey. And so it begins. Participants in Jamaica’s first-ever ice hockey effort pose for history. About 18 skaters – from as far away as Sweden and Washington, D.C., and as nearby as Scarborough, Ont., and Quebec – ventured to the Westwood Arena in Etobicoke, donned practice jerseys with Jamaica’s yellow, black, and green flag on the front, and showed Townshend, Bollers, and the rest of the JOIHF brain trust what they could do. Twenty-five players showed up for Sunday’s sessions. The tryout participants ranged in age from 15 to 28, Townshend told me. “As the word got around, more and more kids started to find us, I guess,” he added. The prospect of representing his mother’s homeland is what prompted 17-year-old forward David Southwells to travel to North America for the first time from his family’s current home in Tingsryd, Sweden, birthplace of former Philadelphia Flyers defenseman Kjell Samuelsson. Hockey Coach Graeme Townshend (center) liked what he saw during Jamaica’s first-ever ice hockey tryout. Washington’s Duante Abercrombie learned about the Jamaica tryout via Instagram about a week ago. 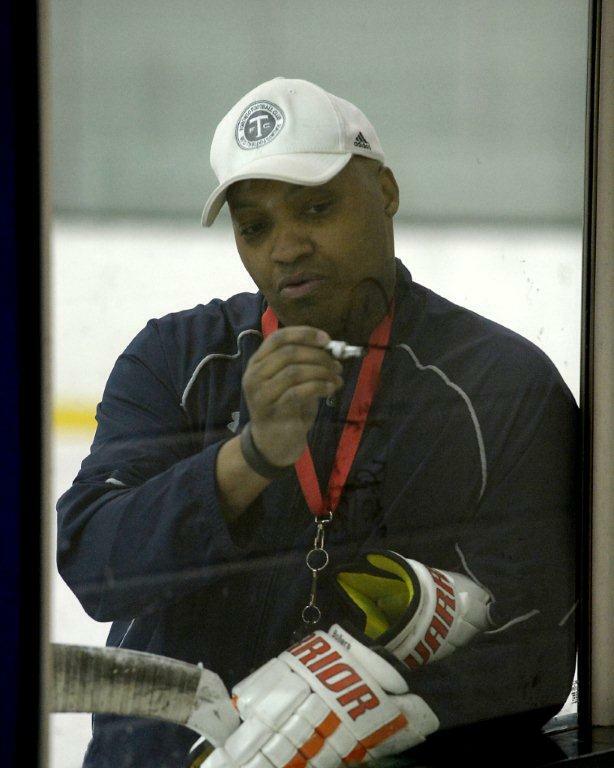 An alum of the Fort Dupont Ice Hockey Club, the oldest minority youth hockey program in the United States, Abercrombie happened to be in Whitby, Ont., training for a potential tryout with the Dayton Demonz of the Federal Hockey League when he got the message. The trip from Whitby to Toronto was a short train ride for Abercrombie, one that also spurred a family reunion in search of his Jamaican roots. That conversation led to more talk and a warm catching up between Abercrombie and his father, Michael Armstead. Abercrombie is only 28 but consider him a hockey lifer. 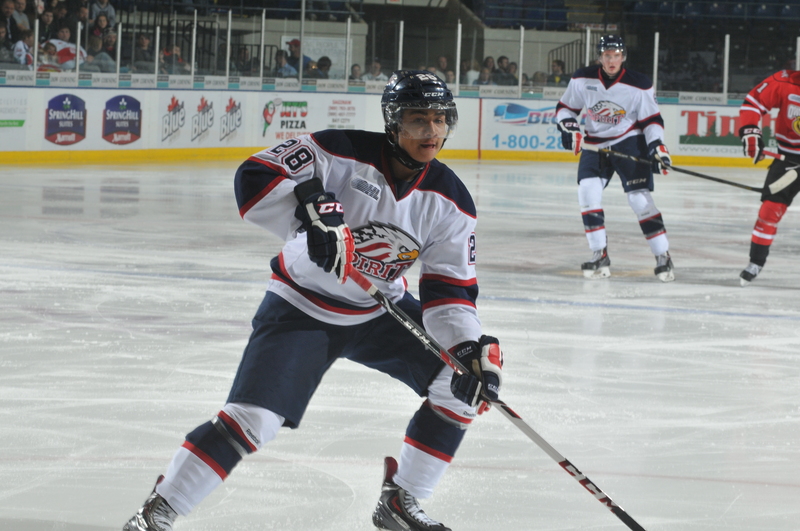 After playing for Fort Dupont Head Coach Neal Henderson and winning a Washington, D.C., hockey championship with Gonzaga High School, Abercrombie set his sights on reaching the pro ranks. His quest took him to New Zealand in 2011-12 to play for the West Auckland Admirals of the New Zealand Ice Hockey League. Since then, he’s been preparing for his chance, perpetually training on and off the ice should a team come calling. The closest he’s gotten to the NHL was practicing with Washington Capitals players Mike Green, John Carlson, and Nicklas Backstrom at the team’s Kettler Capitals Iceplex facility in Arlington, Va., during the weeks of the 2012 NHL players lockout. If Townshend and the JOIHF officials can find more players with Abercrombie’s desire and hockey pedigree, the fledgling program will be off to a good start. The weekend’s tryout was the first of several to be held in Canada and the U.S. When Jamaica gained associate membership in the International Ice Hockey Federation in 2012, JOIHF officials boldly stated that their goal was to have a team on the ice at the 2018 Winter Olympics in South Korea. 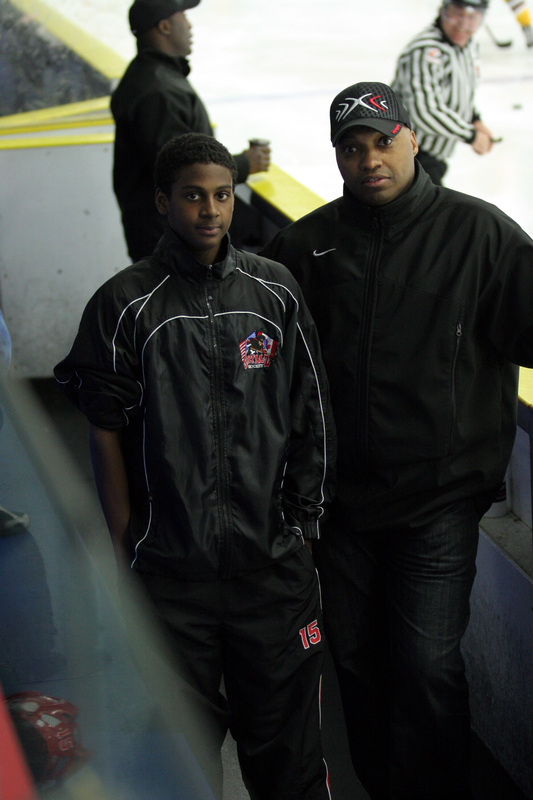 Skillz Hockey’s Cyril Bollers (left) provided his coaching expertise to the Jamaican hockey effort. But JOIHF officials have since slowed their roll on 2018, acknowledging that they have a lot of work to do on and off the ice before even thinking about the next two or three Winter Games. A special Color of Hockey thanks to Damon Kwame Mason, Producer of “Soul On Ice: Past, Present & Future,” for shooting and sharing photos from the tryout. To learn more about his documentary project, please visit https://www.facebook.com/soulonicemovie and https://www.youtube.com/watch?v=_63win3qQSA. New York Islanders 2014 first round draft pick Joshua Ho-Sang returned to his roots this week to provide some on-ice inspiration and motivation to the Skillz Black Aces, a youth hockey team that he played for over four summers. 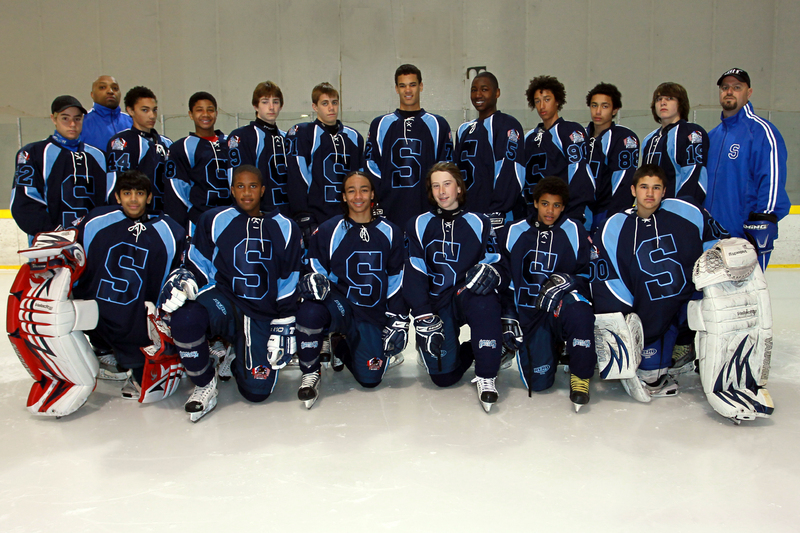 N.Y. Islanders draft pick Joshua Ho-Sang (second to the left, second row) with Skillz Black Aces members. The finely-locked gentleman on the second row far right is dad Wayne Ho-Sang. Coach C.J. Bollers stands second row, far left. Skillz is increasingly becoming a stepping stone to the National Hockey League Draft. Ho-Sang, the 28th overall pick, Barrie Colts forward Brendan Lemieux, a 2014 second-round pick of the Buffalo Sabres, Portland Winterhawks forward Keegan Iverson, the New York Rangers third-round selection, and Owen Sound Attack forward Jaden Lindo, a fourth-round choice of the Pittsburgh Penguins, are all alums of Skillz summer hockey teams. So are Sault Ste. Marie Greyhounds defenseman Darnell Nurse, the Edmonton Oilers’ 2013 first-round pick; Kitchener Rangers forward Justin Bailey, a Buffalo Sabres second-round pick; forward Stephen Harper of the Erie Otters; and Bellville Bulls defenseman Jordan Subban, the Vancouver Canucks’ fourth-round pick and the younger brother of Montreal Canadiens defenseman P.K. Subban and Boston Bruins goaltending prospect Malcolm Subban.